Find My Workspace lists over 95% of the executive office suites market in Provo. Simply click Request Quote to check pricing for one office, or Add to Basket for multiple offices. 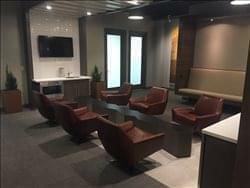 This center offers solutions that combine all of the benefits of conventional real estate with the flexibility, service, and convenience of executive suites and virtual office packages. The center has options ranging in size that can accommodate teams of 1-5 people, and the professional on-site staff will answer your telephones, receive your mail and packages, greet your clients and give you access to the conference room facilities. The space also offers a professional co-working lounge space, with high-speed internet access throughout the space and free underground parking.